indexOf( ) Searches for the first occurrence of a character or substring. lastIndexOf( ) Searches for the last occurrence of a character or substring. These two methods are overloaded in several different ways. In all cases, the methods return the index at which the character or substring was found, or –1 on failure. Here, ch is the character being sought. Here, str specifies the substring. Here, startIndex specifies the index at which point the search begins. For indexOf( ), the search runs from startIndex to the end of the string. For lastIndexOf( ), the search runs from startIndex to zero. 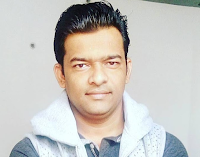 // Demonstrate indexOf() and lastIndexOf(). Let's understand indexOf() and lastIndexOf() methods and their different forms in depth. indexOf(int ch) - Returns the index within this string of the first occurrence of the specified character. indexOf(int ch, int fromIndex) - Returns the index within this string of the first occurrence of the specified character, starting the search at the specified index. indexOf(String str) - Returns the index within this string of the first occurrence of the specified substring. indexOf(String str, int fromIndex) - Returns the index within this string of the first occurrence of the specified substring, starting at the specified index. Example: This program demonstrates the example of all the 4 indexOf() methods. lastIndexOf(int ch) - Returns the index within this string of the last occurrence of the specified character. lastIndexOf(int ch, int fromIndex) - Returns the index within this string of the last occurrence of the specified character, searching backward starting at the specified index. lastIndexOf(String str) - Returns the index within this string of the last occurrence of the specified substring. lastIndexOf(String str, int fromIndex) - Returns the index within this string of the last occurrence of the specified substring, searching backward starting at the specified index. The main usage of lastIndexOf( ) - Searches for the last occurrence of a character or substring. Example: This program demonstrate the usage of all 4 lastIndexOf() methods. System.out.println(" last index of given character 's' in' "
System.out.println(" last index of given string 'guides' in' "
System.out.println(" last index of guides in given  string "